The Celebs Show On RainSMediaRadio - Guest - Miss Niger Deltan Face FOY 2018. Hello there, you are welcome to another interesting episode of The Celebs Show on RainSMediaRadio. This week we traveled all the way to Delta State to bring to your beautiful eyes the gorgeous Miss Niger Deltan Face FOY 2018. Join us as we discussed her journey to the crown. I remain your humble handsome host RainSegzy of Lasgidi. "Am I not handsome? Lol😁"
I am Torulolo Justina Mamuyowe Miss Niger Deltan Face FOY 2018. I hail from Burutu local government area in Delta state, a graduate of Seagate college Apapa, Lagos state. I love Reading, writing, cooking and surfing the net. My philosophy towards life is never be envious of what someone else has because you don't know the price they paid to get it and you don't know the price they are paying to keep it. My aim is to be the girl child advocate and the voice of the poor. 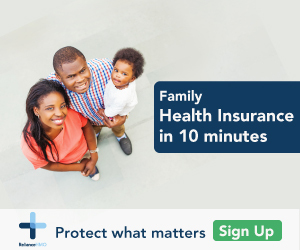 What number are you in the family of "how many"? The ninth child, last daughter have a kid brother. Hmm growing up is not that easy, so many challenges; lot of friends some to distract while some to encourage. Talking of education, which schools did you attend? Seagate college but still hoping to further by 'God Grace'. What was that special moment you experienced in school that you can never forget? When I participated in a Talent hunt show and being selected among the prefect. Out of many careers out there, why did you choose modeling? What are your parents response when you told them your career of choice? My mom is the kind of woman that encourages you on what ever you want to do, as long as it will make you great and you enjoy doing it. So she was OK with it. Can we talk about challenges in modeling industry in your country? What are the behind the scene anecdotes you can share? Lol back stage was always fun, you know everybody want to get the crown(position), then you'll start seeing the different characters of people which includes envy, even when you are trying to rehearse your line and you need total silence then they will start shouting and quarreling because they already know you are better than them so they will look for ways to run you down. In your opinion what are the difficulties of being a model. The society, most people see Models as prostitute, and that's why some people who have passion for modeling are not doing it. What things would you not like to do? Denying my family, forgetting my source. Tell us about a project or achievement that you can consider to be the most significant in your career. Campaign for the Girl Child, Stop Social Vices, Say No to Girl Child Abuse. Host: Do you have any personal ambitions yet unattaind? I have ambition of building my own empire. I want to establish my own fashion brands and be an employer of labour. Are there any new projects you’re working on that you can talk about? Giving back to the community by visiting schools to distribute bags, sandals and writing materials. I will also visit the orphanage. What is your advise for people who want to be like you? Don't be in a hurry to make it in life and focus on your dream. It has been an amazing show. I hope you enjoyed the show. Join us again next week as we bring another youth celebrity making the difference around the world. Don't forget to follow us on all social media platforms @RainSMedia. Click the player below to listen live to our guest. Watch ThePathway TV Show Series New Episode - 'But One Thing Is Needful'. Catch the new episode of ThePathway TV Show titled 'But One Thing Is Needful' now available on ThePathway TV YouTube channel. "ThePathway Talk Show is a Christian talk show that is centred on teaching people the importance of the word of God, helps you discover your God given potential and leads you to the pathway to destiny." This season of the show is titled 'Essential'. You don't want to miss this life changing episode titled 'But One Thing Is Needful'. Please do subscribe to ThePathway TV YouTube channel to always get updates of their latest release and most importantly, don't keep the goodnews to yourself endeavour to share the ThePathway TV channel to your friends and family on all your social media platforms. You never know who might get saved just because you share. Watch, subscribe, like, comment, share and remain blessed. * Don't miss this great opportunity. Get your dream job! U-connect has landed a dream job assuring platform called Gr8jobsng to help bring your dream of getting that particular job you desire to reality. Gr8jobsng is more than just an initiative. It's a body of work transformed into an attractive, educating and most importantly jobs providing platform. Gr8jobsng is currently in the mood of promo, how? You asked. No step 6 KEEP YOUR FINGERS CROSSED 🤞! Salary range from N60,000 to over N800,000 and over 300 positions available. The higher your likes, the better your chances. The job video contest Closing date is 28/02/2018. 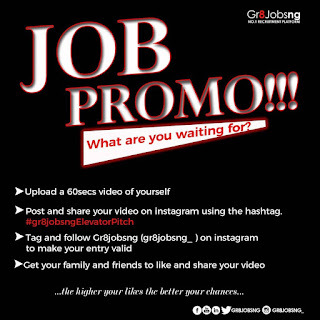 Meanwhile, you can also visit Gr8jobsng to search for other available vacancies. Do You Want To Know What Harvard Business School Is Like? Ask Chika Ike The New Graduate. Nollywood actress Chika Ike finally round off her studies in Harvard business school. "I was super excited when I got accepted into Harvard business school not just because I tried for five years but I wanted to learn the skill set to run a sustainable company. Harvard has transformed me totally and given me a different perspective of the business world and the skill set to tackle business problems. It was an intense 8 months program, Juggling my businesses and studying wasn’t the easiest thing. But thanks for the support of my awesome Living group, my coach, Pld25 peers, all the professors and administrative team. Change is very uncomfortable, stretching out of your comfort zone is uncomfortable, you’ll question and doubt yourself severally. But it’s ok to be vulnerable when situation presents itself. There is strength in Vulnerability . Embrace your fears, leave your comfort zone and keep stretching yourself. Never give up. Love you." Chike Ike. - Event to focus on understanding emerging markets, trends and opportunities. The sixth edition of Nigerian Entertainment Conference (NECLive), holding in Lagos on Wednesday April 25th 2018, will focus on how the creative industry can study, understand and access opportunities in emerging market segments, how to exploit the tools, trends and possibilities that technology provides, and how to build a totally new world of impact, locally and globally. Nigeria is still focused on solving old problems, while the rest of the world has moved on to using new thinking and ideas to create new ways of getting value. Netflix, Amazon, Facebook, Snapchat, Shazam, Tidal, Deezer, Spotify, and many more are coming forth to innovate creation, distribution and monetisation, while the concept of venues and tours is taking a wholly different shape from Europe to Asia and America. The music business is transforming from predominantly records sales and concert and tours, to a 360 model that’s giving new life to a hitherto dying industry. Hollywood is seeing some excitement, with the boost in rent-or-buy streaming services and the influence of two key things: technology, and surge in measurable consumption from the EMEA. It’s the same across Fashion, comedy, Sports, and media. Demographics are changing, Silicon Valley is building, and M&As are leading to a new order. ‘With the recent promise displayed by the Nigerian music industry, Nollywood, Fashion, Media, and Comedy, there is no better time to sit down and discuss what is at stake. Everything that’s transforming the entertainment and creative industries in Europe, Asia and America is potentially available to Nigeria, nay, Africa. Technology is already helping us fix payments, dating, banking, transportation, and even governance. It’s time to take a look at entertainment’, says NEC founder and chairman Ayeni Adekunle. Over 5000 participants will gather at the Landmark Event Centre on Wednesday April 25th 2018, for the sixth edition of Nigerian Entertainment Conference, the marketplace for ideas, products, people, and services shaping the entertainment sector. At least 10 million will watch live on cable TV and online. Registration opened on Tuesday January 30. Speakers and panellist line up are to be announced later. Looking for a very smartphone to buy without getting red signal from your 🏦 bank account? Get Leagoo KIICAA POWER. I don't do Smartphone review but a I have got couple of mails recently from my friends and readers requesting for Leagoo KIICAA POWER Smartphone review just because they saw the picture on my WhatsApp status. So I thought I should grant their wish. So guys continue reading. Now let us unveiled the power of the China made powerful smartphone. Leagoo KIICAA POWER Smartphone is a stylish mobile phone designed by Leagoo Intelligence Co., Limited situated in Shenzhen, China. It comes with two rear camera 8MP which is coloured and 5MP which sepia or should I say black and white. Yes we are now in the era of 4g LTE Leagoo KIICAA POWER Smartphone is not 4g but with my experience with the phone for over 2 months now you don't have to worry about network, even when other people 3g phones around me fails to connect my Leagoo KIICAA POWER Smartphone does it magic. The 2GB RAM is accurate and the 16GB ROM is unbelievable. I have 82 apps installed on my phone with 5 complete movies of 300MB each and a 2 complete season of Scandal on my phone wait for it, with a total of 150 songs with album cover and 10 audio recording. With about 20 apps running in background. Yet my Leagoo KIICAA POWER Smartphone did not even know that it is working. Wow! Right? Speaking of battery, 4000mAh Li-polymer Battery you have nothing to worry about if you are not a phone exhausting user like me. can be use to take pictures, close or exit application and many more. and the price is between 23,000 and 24,000 Naira. However, I hope Leagoo established a branch in Nigeria soon so that Nigerians can enjoy all the benefits their company have to offer. Now you know. Get your Leagoo KIICAA POWER Smartphone today! Jussie Smollet "Jamal" Now Empire's Director. Guess who the director of Empire gonna be for the next two weeks? Jamal!!! It has been confirmed that Jussie Smollet will be the director of the musical season movie "Empire"
Jamal Lyon will be the director for the episode titled "Fair Terms" which was written by Dianne Houston and Jamie Rosengard. Below is how she proudly announced Jussie Smollet as the new Empire director. Melanin Popping By Korede Bello Lyrics. Mela PO PO PO !!! Truth be told, do we truly have "libraries" in Nigeria? How many "libraries" do we have? Where are they located? I remember growing up, speaking of "libraries" which means bookstores we have that in almost all the major markets in Nigeria. In fact, in some states in Nigeria we a special market dedicated to the sales of books and stationeries only. But "library" is considered a special feature in Nigeria. And can only been found in Some highly expensive Nigerian private schools. Few public schools do have library but I won't call them library because they always outdated. Interviewer: Are your books read in Nigeria? Interviewer: Do they have libraries in Nigeria?